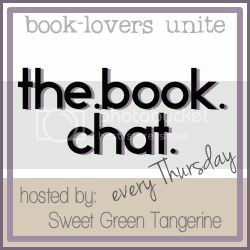 As usual, I'm linking up with Jessica at Sweet Green Tangerine for this week's book chat. This week's topic is War/Historical novels. I read a lot of non-fiction but not so many novels. I read The Book Thief and Les Miserables is one of my favorite books. I've read a lot of books written by former child soldiers in different parts of Africa. But there are two books about war that have influenced how I live my life. The book that always comes to mind first whenever War or History are mentioned is The Diary of Anne Frank. It is, of course, a classic that almost all of us read in school. I've been to the Anne Frank house several times. There are a couple quotes from the book (among many brilliant insights from such a young girl) that have always stayed with me. "... I still believe, in spite of everything, that people are truly good at heart." This is the reason why I don't lock doors (Dutch doors are always locked so don't think you can come take my stuff!). This is the reason why I'm not afraid to walk alone. Because the vast majority of people are good at heart. I refuse to live my life in fear of the few who are not. "Whoever is happy will make others happy, too." I've lived with the poorest of the poor in Ghana, visited women living in bombed out buildings with no running water in Afghanistan. And in those people I've seen happiness and generosity far beyond what you'd expect in such circumstances. They welcomed me with smiles and gave me gifts. As if I was deserving of what they had. Another powerful female writer, Ama Adhe, wrote a book called The Voice that Remembers. Ama is a Tibetan who was imprisoned and tortured for 27 years by the Chineese for resisting their occupation of her homeland. One of the things she said that stands out most to me is, “Although the world is a bigger place than I had dreamed, it is not so large that all its inhabitants are not somehow connected.” We do not live in bubbles. Everything we do or choose not to do, especially as a society, has an impact on the people and the world around us. We'd be wise to remember that. What about you? What are some of your favorite war/historical books? Any that have had a lasting impact? Recently, I've been really into baseball historical books. "Wait Til next year" by Doris Goodwin Kearns and Boys of Summer by Roger Kahn are two that I love. They're both about the Dodgers when they were in Brooklyn. and are really amazing. I have read a lot of war/historical novels and Anne Frank is among my favourites, of course. I have never heard of "Yje Voice That Remembers" but it sounds just the kind of book I would enjoy. Thanks for the recommendation. The Voice that Remembers sounds beautiful. I definitely need to check it out. I recently read 'Unbroken' by Lauren Hillenbrand, a true and remarkable story. I'll have the check out "The voice that remembers' now. Thanks!